Traditional styling is shown in the attention to detail with the Governors Series reception desks. 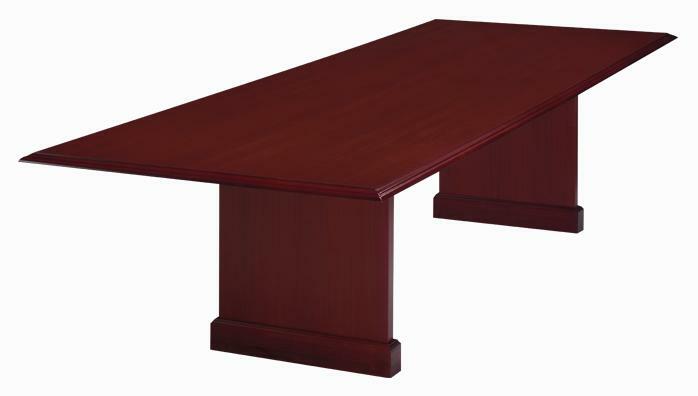 It offers an expansive office furniture line in an engraved executive mahogany finish. The Governors office furniture will fit any business environment. Decorative wood accents, solid-wood mouldings and bases, mitered edges and swinging-bail drawer pulls are fine examples of its traditional design and styling. These office desks feature pull-out writing shelves for extra work surface area. Central locking conveniently locks all drawers with the turn of a single key. All desk drawers are suspended on quality, metal ball bearing slides. File cabinets are fully extending to allow easy access to the entire drawer. File drawers are equipped to accept front-to-back letter or side-to-side legal sized hanging file folders. All office furniture desks are equipped with levelers to adjust for less than even flooring. Computer applicable furniture features grommets or other openings that facilitate neat and easy management of computer cables. Each office desk provides a convenient workspace. Large writing surfaces allow plenty of room to spread out your work. Desks include convenient pull-out writing boards for an expanded work surface. All executive desks feature quality engineered plunger, central locking system for added convenience. All file cabinets have individual file drawer locks for security and flexibility. Engraved Executive Mahogany Finish solid wood mouldings and bases, mitred edges and swinging bail drawer pulls are true indications of traditional styling. Engraved Executive Mahogany Finish solid wood mouldings and bases, mitred edges and swinging bail drawer pulls are true indications of traditional styling. DMI Governor's Series combines traditional details and a richly engraved executive mahogany finish. DMI Governor's Series combines traditional details and a richly engraved executive mahogany finish. Engraved Executive Mahogany Finish solid wood mouldings and bases, mitred edges and swinging bail drawer pulls are true indications of traditional styling. DMI Governor's Series combines traditional details and a richly engraved executive mahogany finish. DMI Governor's Series combines traditional details and a richly engraved executive mahogany finish. Engraved Executive Mahogany Finish solid wood mouldings and bases, mitred edges and swinging bail drawer pulls are true indications of traditional styling. Engraved Executive Mahogany Finish solid wood mouldings and bases, mitred edges and swinging bail drawer pulls are true indications of traditional styling. DMI Governor's Series engraved Executive Mahogany Finish solid wood mouldings and bases, mitred edges and swinging bail drawer pulls are true indications of traditional styling. 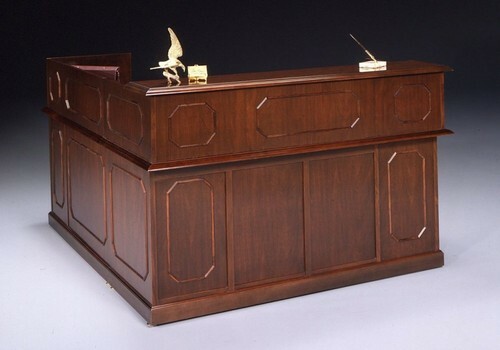 DMI Governor's Series engraved Executive Mahogany Finish solid wood mouldings and bases, mitred edges and swinging bail drawer pulls are true indications of traditional styling.